Philips ToUcam Pro "first light"
November 30, 2003 was a historic day for me. On that day I used the ToUcam Pro webcam on astronomical targets for the first time. At this time I didn't have a laptop so imaging was not easy, I had to keep the telescope very near a window to be able to connect the camera to my desktop computer which was inside (taking it outside was out of the question since it is connnected to a whole lot of stuff). 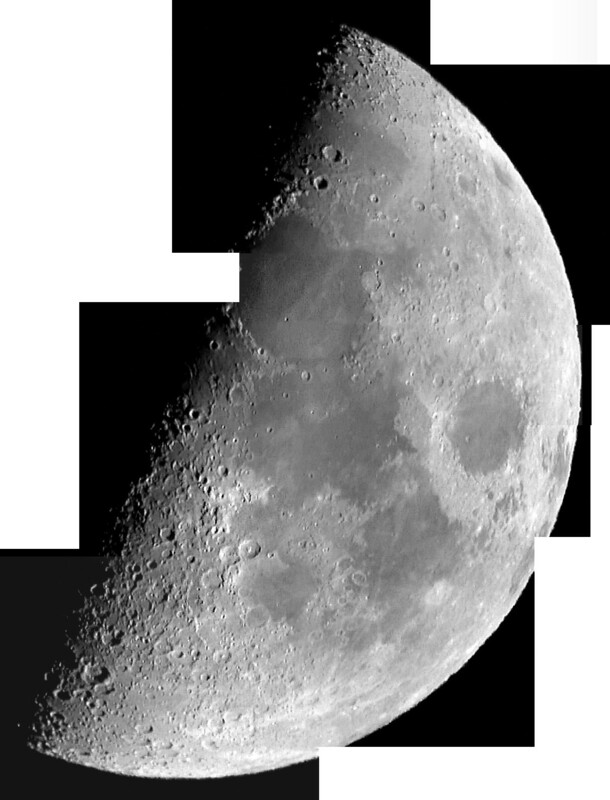 The image quality is bad since the Moon was only a little over 10 degrees above the horizon and it was windy. Image processing is only rudimentary; I'm expecting far better results from future attemps. The following image of Saturn was obtained on the same evening shortly after midnight using identical setup except that I also used a Tele Vue 2x Barlow. Seeing was extremely bad, I even had some trouble seeing the Cassini division which usually pops into view immediately. This is the best image and was selected using a program I wrote that sorts the images based on sharpness. Seeing was too bad for image stacking to be possible. 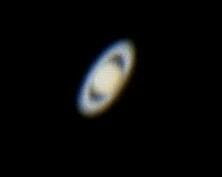 Despite the bad image quality I was rather happy since I had almost no problems finding Saturn despite the small field of view. However, the image is too small but I now have a Powermate 5x and patiently wait for the evil clouds to disappear.